Well, one man, anyway: me. I’m sure there are others, but I’ll refrain from speaking for all of them. I say it’s an effective cover, even if the colors displayed prepared me for a different sort of story than the one told in the book. 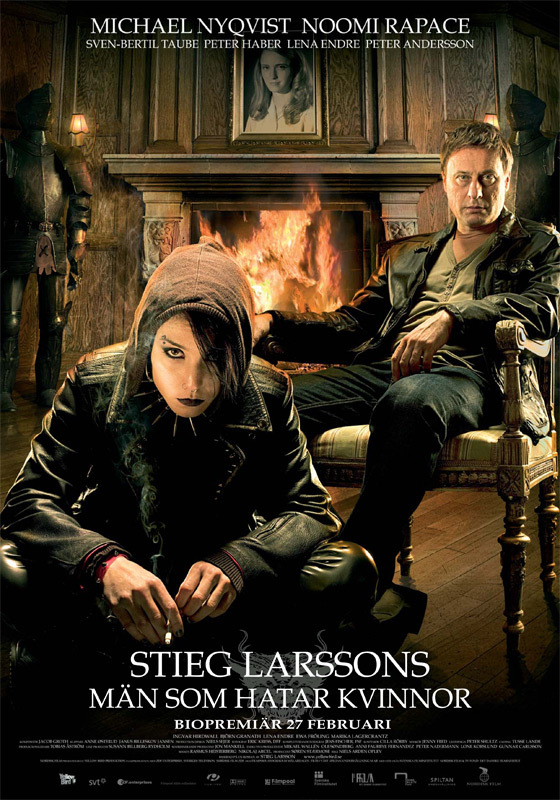 Before I picked up my copy, I knew nothing about The Girl With the Dragon Tattoo — not that it was originally written in Swedish, not that it took place in Sweden, not even that it was a detective story. 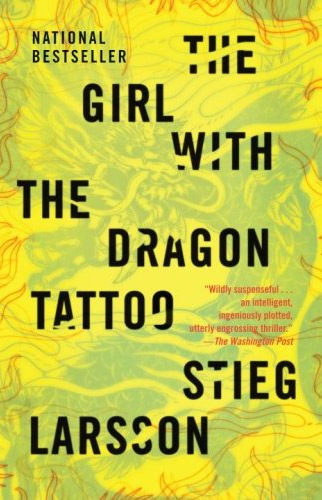 Just judging the book by its cover, I imagined that the titular tattooed lady was herself Asian, some vampy stereotype existing in a previous decade, maybe someone who could have existed in Robert Towne’s Chinatown. A dumb decision to leap to, in retrospect, but that’s why we’re cautioned against this very activity. Dragon Tattoo is bleak and graphic and, since it begins in the dead of a Swedish winter, not exactly colorful, at least in the literal sense. It grows and changes and eventually gets splashed with quite a bit of blood red by the end, and by the time I finished the last page I was glad I’d read it. Nonetheless, the cover caught my eye, and I don’t feel embarrassed to have the book resting on my shelf. In the bookstore, I saw plenty of copies with this good version of the book, but also several of the Spanish translation, which, inexplicably, had a far worse cover — chromatically appropriate, maybe, but overall poorly designed and downright ugly. 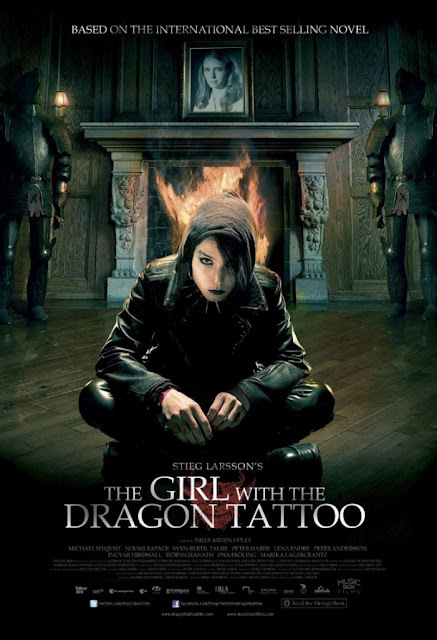 And, again, the title was changed to The Girl With the Dragon Tattoo, because it’s simply grabbier to us English-speakers. The English title also fits better with the structure of the second book, The Girl Who Played With Fire. In the original Swedish, it’s basically that: Flickan som lekte med elden. 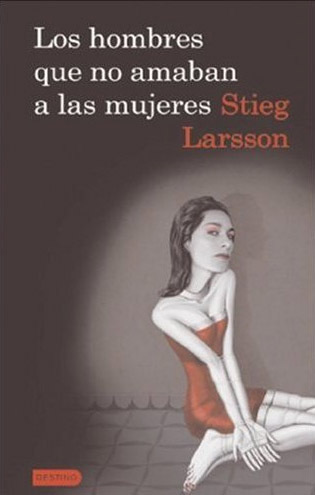 The theme doesn’t hold, however, with the third book, The Girl Who Kicked the Hornets’ Nest, as the original Swedish has it as Luftslottet som sprängdes — “The Air Castle that blew up.” The Spanish titles for these books, by the way, are La chica que soñaba con una cerilla y un bidon de gasolina (“The girl who dreamed about a match and a gasoline can”) and La reina en el palacio de las corrientes de aire (“The queen in the palace of the airflows”). Oh, you're sneaky! This had nothing to do with anything I talked about. How clever of you!